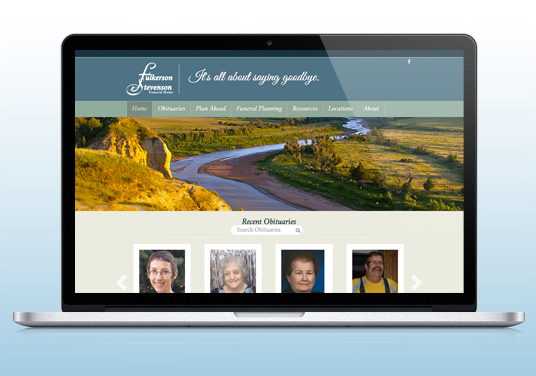 For over 50 years Fulkerson-Stevenson Funeral Home has been a trusted resource in western North Dakota to families during their most difficult time. 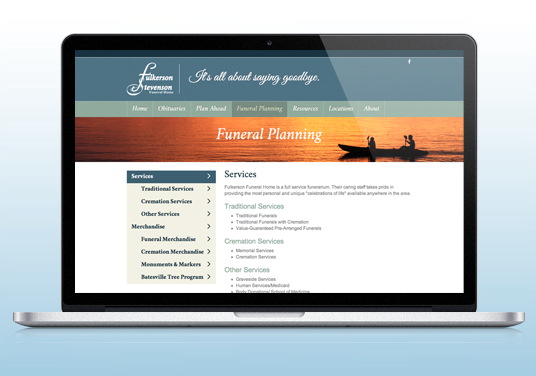 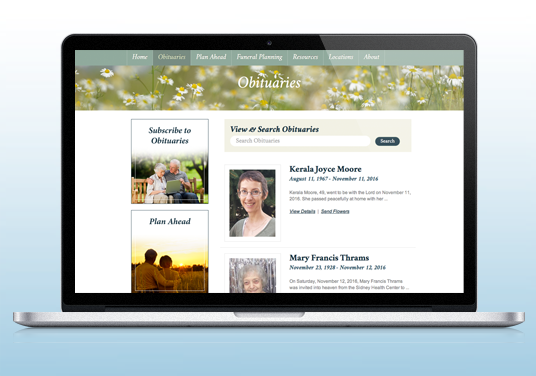 Over 10 years ago, DAWA created and has updated a dynamic website for Fulkersons to provide online obituaries, an interactive guestbook, easier workflow for staff on the back-end, and other new technology features. 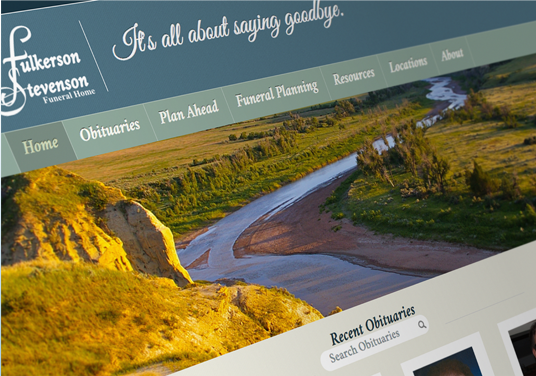 It was time to give the site a facelift and incorporate mobile-friendly features. 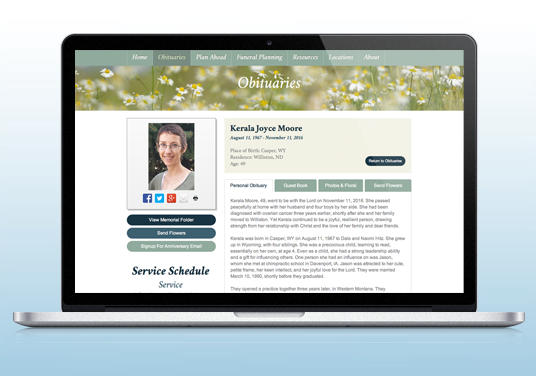 Along with updating the branding, we gave the site a cleaner, soothing, fresh look along with adding some new layouts for the obituary listing and detail pages to make information more readily accessible.